Click above to play - The Wizard scored 66 and 64 cats respectively. Record your score! Put your scores in the comments!! Have a question nagging you in the LOVE department? Ask The Love Doctor! Just click on The Picture of The Love Doctor at the left of the page and email me. I will pass your question to The Love Doctor and if your question is relevant, you could get it posted here on 'OZ'! There is no fix for stupid. Car upside down in the bay - see guy standing on it? Call out the wrecker! I could have sworn I set the brakes on that truck !Time to get a Bigger Wrecker! A husband asks: Why do you weep and snuffle over a TV program and the imaginary sadness of people you have never met? Tech: "Please excuse me if I seem a bit stumped. It's because I am. Did you receive this as part of a promotional, at a trade show? How did you get this cup holder? Does it have any trademark on it?" An inexperienced real estate salesman asked his boss if he could refund the deposit to an angry customer who had discovered that the lot he had bought was under water. MILAN (Reuters Life!) - Milan will sweep aside its Roman and Papal heritage this weekend to celebrate Samhain, popularly regarded as the Celtic New Year, at a festival which highlights Italy's awakened interest in its pagan past. The city's Sforzesco Castle will host crafts like weaving, coining money and making chain mail to a backdrop of music from Italy, Ireland, Scotland and Spain. More than 100,000 visitors are expected to come to see Celtic warriors clash in battle. The focus is strictly cultural heritage, not religion, said Emanuela Magni, co-organizer of the event. 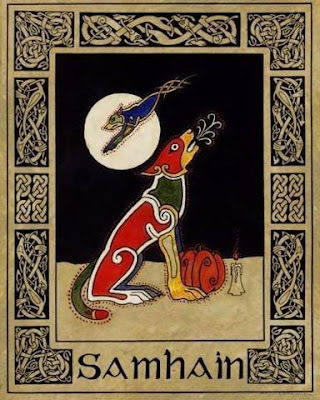 "It teaches how even with the passage of time, there are some concepts of the universe that have endured here," Magni said, noting that the Celtic holy tradition of Samhain was a precursor to holidays like All Saints Day and All Souls Day. But as Italy uncovers its pre-Christian roots, it is also awakening pagan practice. "Indeed something is afoot here quietly but determinedly, and it appears to be a movement," wrote American religious studies researcher Francesca Howell, in a paper published last month by the international journal of pagan studies, Pomegranate. 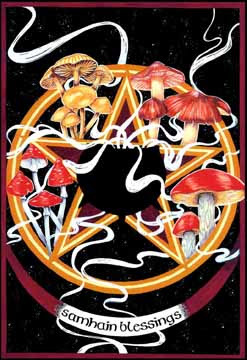 Italy has deep roots in witchcraft, or "stregoneria," Howell said in an interview. But its current pagan movement echoes earlier trends in the British Isles and America. Italy's pagans have coalesced around movements like feminism and environmentalism. "It truly is a different cup of tea, or different cauldron of herbs, if you will," she said. Melwyn, a 23-year-old Milanese secretary who gave only her Celtic name, fits the movement's demographics. A Celtic re-enactor, she read about Wicca as a teenager and discovered practitioners at the Samhain festival four years ago. "A lot of people are close to Wicca without knowing it, especially re-enactors" she said. "They believe in it but don't acknowledge it." Organizers say numbers are elusive, but using sources like mailing lists, event registration and journal subscriptions, they place their ranks at between 2,000 and10,000. The founder of Milan's Circle of the Crossroads, Davide Marre, remembers when his group numbered "four cats;' an expression for virtually nobody. Six years later, he has 200 members, with conferences, study groups, a magazine, a book, even a monthly bar fest called the Witches' Caf De. Given Italy's past, Marre said he is not surprised by the revival. "Italy is the land of the gods," he said. (Washington) Terrorist strikes on four American cities. Russia rolling into Eastern Europe. Israel hit by a nuclear bomb. Gay marriage in every state. The end of the Boy Scouts. 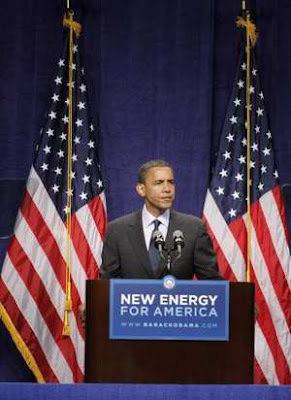 All are plausible scenarios if Democrat Barack Obama is elected president, according to a new addition to the campaign conversation called “Letter from 2012 in Obama’s America,” produced by the conservative Christian group Focus on the Family Action. - A 6-3 liberal majority Supreme Court that results in rulings like one making gay marriage the law of the land and another forcing the Boy Scouts to “hire homosexual scoutmasters and allow them to sleep in tents with young boys.” (In the imagined scenario, The Boy Scouts choose to disband rather than obey). - A series of domestic and international disasters based on Obama’s “reluctance to send troops overseas.” That includes terrorist attacks on U.S. soil that kill hundreds, Russia occupying the Baltic states and Eastern European countries including Poland and the Czech Republic, and al-Qaida overwhelming Iraq. - Nationalized health care with long lines for surgery and no access to hospitals for people over 80. On taxes, Obama has proposed an increase on the 5 percent of taxpayers who make more than $250,000 a year and advocates cuts for those who make less. His health care plan calls for the government to subsidize coverage for millions of Americans who otherwise couldn’t afford it. “Young evangelicals are tired - like most people at this point in the election - and rhetoric which is fear-based, strong-arms the listener, and states opinion as fact will only polarize rather than further the informed, balanced discussion that younger voters are hungry for,” she said. Like a child, the dog came with his own idiosyncrasies. He will only sleep on the bed, on top of the covers, nuzzled as close to my face as he can get without actually performing French kisses on me. Five weeks ago we began remodeling our house. Although the cost of the project is downright obnoxious, it was 20 years overdue AND it got me out of cooking Thanksgiving for family, extended family, and a lot of friends that I like more than family most of the time. I was assigned the task of preparing 124 of my famous yeast dinner rolls for the two Thanksgiving feasts we did attend. I made the decision to cook the rolls on Wed evening to reheat Thurs am. Since the kitchen was freshly painted, you can imagine the odor. Not wanting the rolls to smell like Sherwin Williams #586, I put the rolls on baking sheets and set them in the living room to rise for a few hours Perry and I decided to go out to eat, returning in about an hour. The rolls were ready to go in the oven. I ran to the phone and called our vet. After a few seconds of uproarious laughter, he told me the dog would probably be OK, however, I needed to give him Pepto-Bismol every 2 hours for the rest of the night. God only knows why I thought a dog would like Pepto-Bismol any more than my kids did when they were sick. Suffice it to say that by the time we went to bed the dog was black, white and pink. He was so bloated we had to lift him onto the bed for the night . My sister lives outside of Muskogee on a ranch, (10 to 15 minute drive). Rolls firmly secured in the trunk(124 less 12) and drunk dog leaning from the back seat onto the console of the car between Perry and me, we took off. Now I know you probably don't believe that dogs burp, but believe me when I say that after eating a tray of risen unbaked yeast rolls, DOGS WILL BURP. These burps were pure Old Charter. They would have matched or beat any smell in a drunk tank at the police station. But that's not the worst of it. This was another naive decision on our part. The blast of water from the hose hit the poop on the floor and the poop on the floor withstood the blast from the hose. It was like Portland cement beginning to set up and cure. We finally tried to remove it with a shovel. I (obviously no one else was going to offer their services) had to get on my hands and knees with a coarse brush to get the remnants off of the floor. And as if this wasn't degrading enough, the darn dog in his drunken state had walked through the poop and left paw prints all over the garage floor that had to be brushed too. I am happy to report that as of today (Monday) the dog is back to normal both in size and temperament. He has had a bath and is no longer tricolor. I am also happy to report that just this evening I found 2 risen unbaked yeast rolls hidden inside my closet door. It appears he must have come to his senses after eating 10 of them but decided hiding 2 of them for later would not be a bad idea. Now, I'm doing research on the computer as to how to clean unbaked dough from the carpet. The Microsoft ads, which began airing earlier this week, are being blamed for generating critical system errors in more than 70 million televisions. In addition, thousands of frustrated Americans said that the ads have caused their TVs to become unresponsive, their screens to turn blue, and a small box with the message "terminal application error" to suddenly appear. "I was in the middle of watching Monday Night Football when, all of a sudden, that stupid ad comes on and my TV freezes up," said Scottsdale, AZ resident Michael Chaplin, adding that he never wanted to see the commercial in the first place. "The next thing I know, all these numbers and symbols show up and I get an error message saying 'invalid file format' or something. Now my TV is ruined." (Saskatoon) Saskatoon author Wes Funk has had his first queer-fiction novel published. Dead Rock Stars is based in Saskatchewan and explores queer life on the prairies. The quirky Jackson Hill doesn't know it, but his routine, settled life in Saskatoon is about to go on a bumpy ride. When his father dies unexpectedly, he heads down the highway towards his hometown in southern Saskatchewan. He knows the funeral will be rough, but what he doesn't expect is to meet a handsome stranger along the way and to have a face-off with his brother and some dark issues of the past. Besides being a humorous portrayal of Man's obsession with rock and roll, Dead Rock Stars is a stirring account of sibling rivalry, acts of forgiveness, and growing up gay on the Canadian prairies. Funk says he loves the characters he writes about. He bases them on actual people who have touched his life. He finds the mixture of the serenity and vibrancy of growing up and living in Saskatchewan so fascinating he feels compelled to write about it. Funk launched his book in Regina at the Book and Brier Patch on October 18 and will be at the new indigo bookstore Sunday November 2nd at 2 PM and will be at McNally Robinson in Saskatoon on November 3 at 7:30pm. T he first guy said, 'My son is my pride and joy He started working at a successful company at the bottom of the barrel. 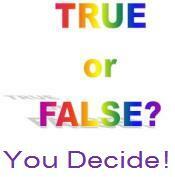 Which is Correct: ___"I Seed Him" or ___"I Seen Him"
A Texas doctor, not to be outdone said, 'You guys are way behind. We took a man with no brains out of Texas, put him in the White House and now half the country is looking for work. One of my readers, Erwin did some snooping on snopes. seems that these pictures are not of Hurricane Katrina. Rather a hail storm in Mississippi - and another reader noticed that the 'tidal' wave is actually a a "storm surge" and comes when the tide is coming in and so is the storm. a tidal wave is any wave that comes with an incoming tide. that can be a huge surfing style wave to a ripple. notice, looking at the photo that the sea there is very rough. that isn't just one wave it's a series of waves in a surge. Whoever took these pictures, did an awesome job. Magee is 150 miles North of Waveland, Mississippiwhere the Hurricane made landfall. The following picture was taken from the third story balcony of Saint Stanislaus College located next door to Our Lady of the Gulf church in Bay Saint Louis, Mississippi on the morning of August 29th, 2005. This is believed to be the initial tidal wave from Hurricane Katrina. The tidal wave was approximately 35 to 40 feet high. When it slammed into the beach front communities of Bay Saint Louis and Waveland Mississippi to completely destroy 99% of every structure along the beach for 9 miles and over a mile inland. The destruction only started there. The flooding that continued inland destroyed the contents of all but 35 homes in these two communities of approximately 14,000 people. 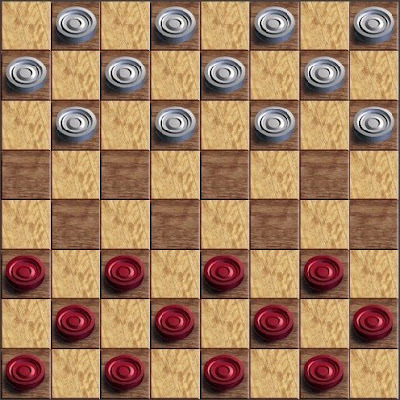 There are 60 Checkers on a checkerboard game. Nope. 30. Each player gets 15. Dressing in strange or inappropriate clothing is called cisvestism. 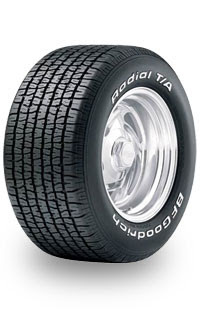 The B. F. represent in tire maker B. F. Goodrich’s name stands for Brent Frederick. Aye, That's the rub! 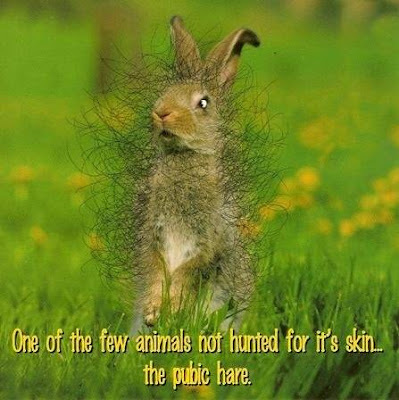 Not true! It's Benjamin Franklin. Dr. Benjamin Franklin Goodrich established the first rubber company west of the Alleghenies in Akron, Ohio, in 1870. 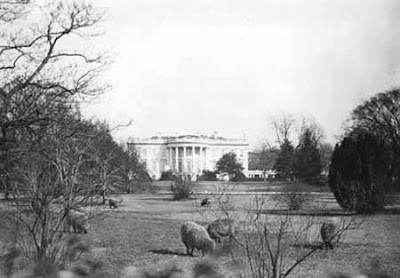 Sheep kept on the White House lawn during World War I to free the gardeners for military service. You bet! The sheep of state—which at one point numbered 18—not only grazed and kept the lawn well manicured, but their wool was auctioned off to raise money for the Red Cross.